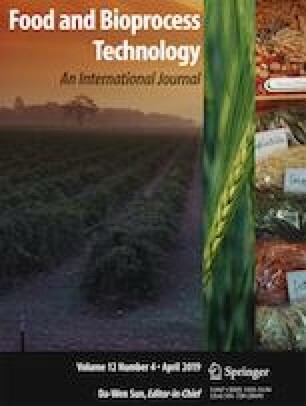 The use of composite wheat-pea flours is of nutritional interest because their essential amino acid profile is closer to human needs than that of wheat alone. However, composite flours might be more variable than wheat flour alone, so manufacturers need to be able to monitor the quality of the cakes. The effects of the quality of the raw material and cake manufacturing process variables on cake density and shape and crumb color, texture, and cell structure were studied. An experimental design with seven flour quality and processing variables was implemented (56 trials). A multiobjective model was built, and its prediction capacity was validated. It is able to compensate for variations in flour quality by adjusting the levels of the processing variables. The authors thank Brigitte Deau, Anne-Marie Gibon, and Alexandre Eurieult for the help with the experiments. This work was carried out in the framework of the FLEXIPROCESS project with financial support from the Carnot Qualiment Agency. The authors thank the Carnot Qualiment, AgroParisTech, and the French Ministry of Higher Education and Research for their financial support.